Drama enlists the help of a bellman when he’s thrown out of a French hotel by one of its managers. 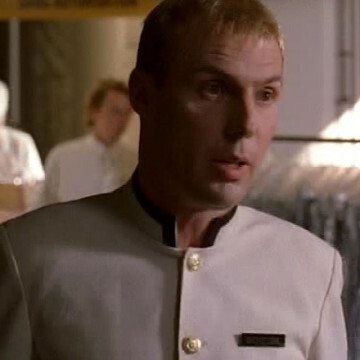 Nicolas Pajon, playing the part of the bellman, meets with Drama outside the hotel at the episode’s sixteen-minute mark to inform him that he was unable to locate the female fan left waiting in his room. In addition to his appearance in Entourage’s season four finale, Pajon also guests in episodes of NCIS: Los Angeles and CBS’ Criminal Minds.